Murder She Baked brings the cookies to Hallmark Movies & Mysteries! Forget the murder mystery, there’s a cat in this movie! YES! Must-watch TV! Murder She Baked: A Chocolate Chip Cookie Murder Mystery is the latest of the various Hallmark Movies & Mysteries series the network optioned and has now reached the small screen to delight us all with bakery-themed death and investigations. It’s the first of the book series written by Hannah Swensen. Not only that, but there are even recipes from the movie on the Hallmark website, so you can bake while you watch to enhance your movie pleasure. Or rage about how your own cookies are better, like my cookies are. Murder She Baked: A Chocolate Chip Cookie Murder Mystery stars Alison Sweeney, Cameron Mathison, Lisa Durupt, Toby Levins, Juliana Wimbles, and Barbara Niven. It is directed by Mark Jean (The Nine Lives of Christmas) and written by Donald Martin (Carnal Innocence). This freshly baked new murder mystery introduces Hannah Swensen (Sweeney), a creative and bubbly baker extraordinaire in a sleepy town in Minnesota, where everyone knows each other and secrets don’t stay hidden for long. Hannah’s bakeshop, the Cookie Jar, is where much of the town’s gossip percolates along with the strong coffee. But after she finds her good friend and delivery driver shot dead in the alley behind her shop, Hannah’s idyllic world is turned upside down. Her brother-in-law and county deputy sheriff recruits Hannah to help him chase down the culprit, but newly appointed Detective Mike Kingston (Mathison) has other ideas on how to investigate. As Hannah gets close to the handsome detective, she also meets the town’s new resident dentist at the prodding of her matchmaking mother Delores (Niven), and is suddenly caught in an unexpected romantic mystery of her own. Then, as a surprising number of suspects emerge, and motives ranging from blackmail to extortion abound, Hannah is strategically placed in the investigation to hear all as she jumps in as detective. Packed with plot twists and red herrings, romantic entanglements and family shenanigans, this lighthearted Hannah Swensen crime solver will please the palate of any mystery fan. “Murder She Baked: A Chocolate Chip Cookie Murder Mystery,” is a Brad Krevoy Television and Stephanie Germain Productions Production. Brad Krevoy, Stephanie Germain and Eric Jarboe are the executive producers. Mark Jean directs from a script written by Nancey Silvers. “Murder She Baked: A Chocolate Chip Cookie Murder Mystery,” is based on Joanne Fluke’s book Chocolate Chip Cookie Murder. Murder She Baked: A Chocolate Chip Cookie Murder Mystery premieres Sunday, May 2 on Hallmark Movies & Mysteries! 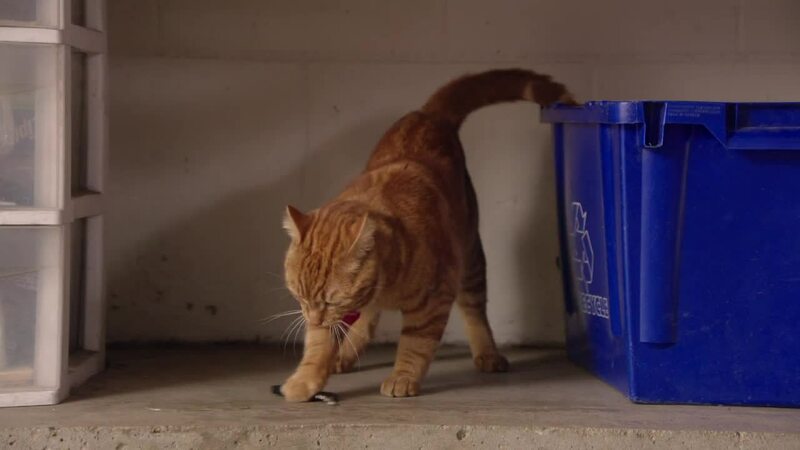 Hopefully the cat gets a lot of screen time. 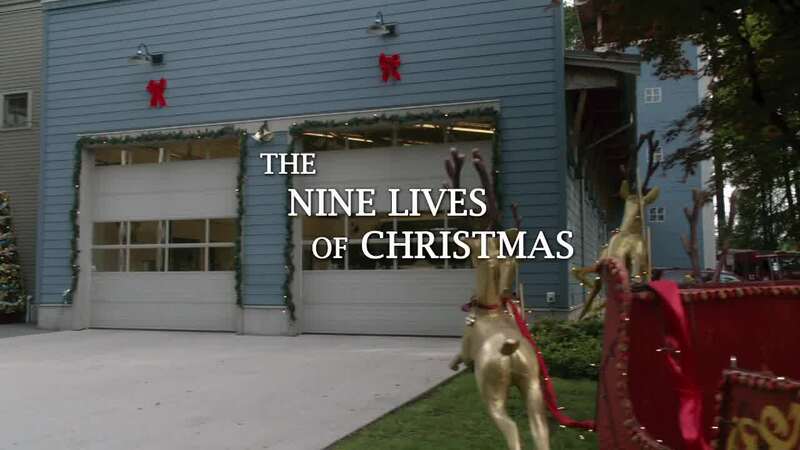 Explore The Nine Lives of Christmas on Hallmark Channel! Man of Steal-ing your heart! 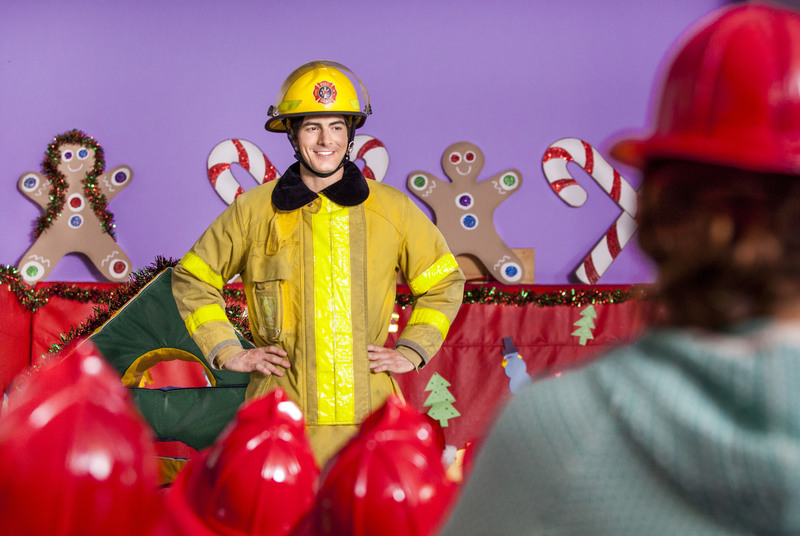 When you think of Christmas, you think of cats and firefighters and television movies that resemble the Garfield Movie. Thus, Hallmark delivers again with The Nine Lives of Christmas! 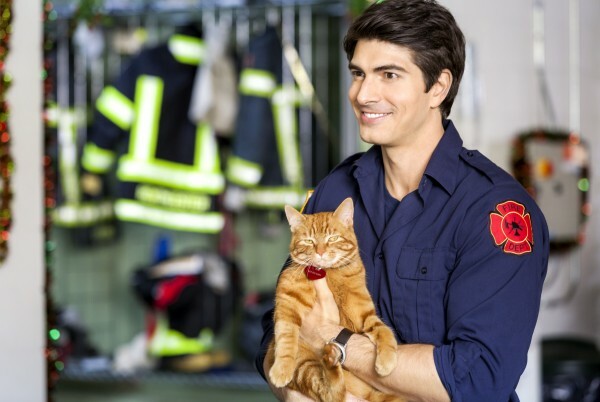 Yes, a hunky firefighter adopts an orange cat and begins a love affair with a vet, even though neither of them will be dating for most of the duration of the film. 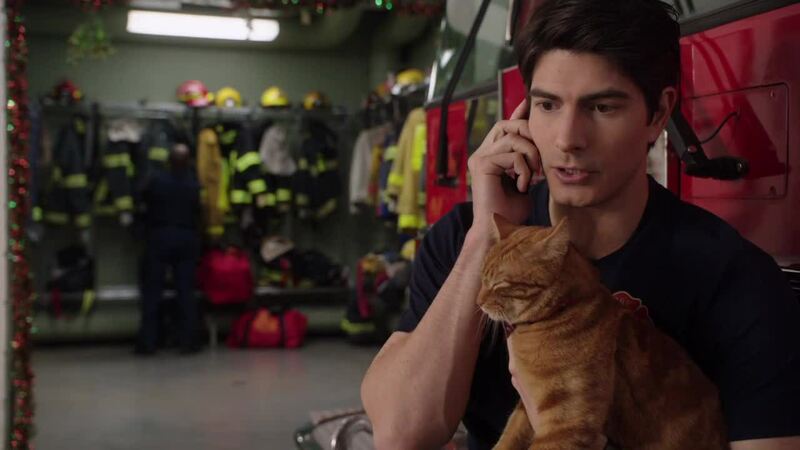 Sadly, the cat does not appear to talk or do humorous things like hate Mondays or eat lasagna, but the firefighter is Superman – Brandon Routh! 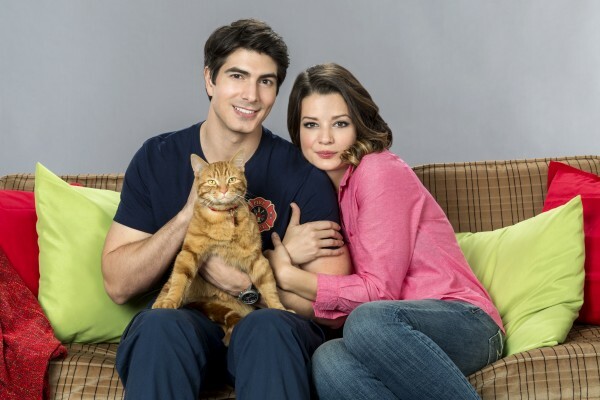 Besides Brandon Routh as cat-adopting firefighter Zachary Stone, The Nine Lives of Christmas stars Kimberley Sustad (Super Buddies) as Marilee White, Stephanie Bennett (Leprechaun: Origins) as Jaclyn, Chelsea Hobbs as Blair, Sean Tyson as Rey, Dalias Blake as Mark, and Gregory Harrison as Sam. Fireman Zachary Stone (Routh) is a confirmed bachelor who doesn’t believe in love or commitment. When a stray, tabby cat named Ambrose shows up at his door, Zachary takes him in and slowly starts to see that a little companionship might not be so bad after all. 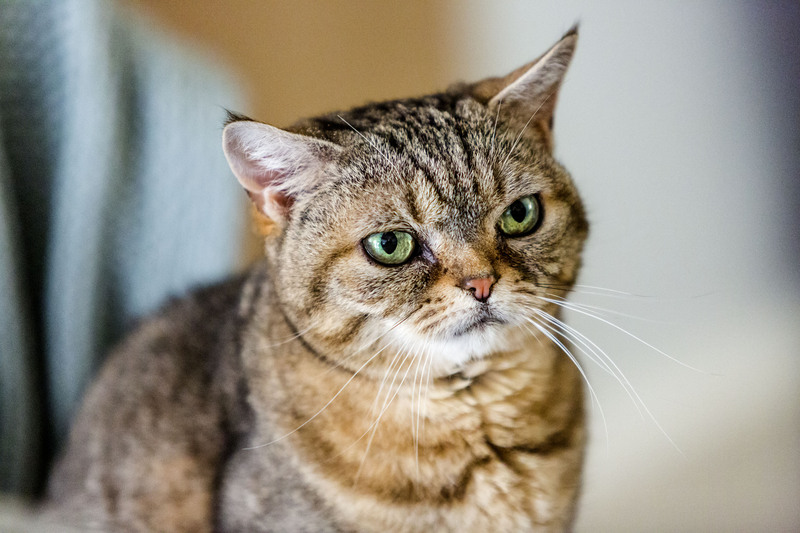 Zachary’s commitment to solitude is further challenged when he meets Marilee (Sustad), an animal lover and veterinary student who teaches Zachary how to care for his new feline roommate. Chemistry immediately develops between the two, but Marilee has vowed not to date until she graduates and Zachary is not ready to jeopardize his independence, though he senses Marilee is special. With Christmas rapidly approaching, Marilee’s sister Jaclyn (Bennett) convinces her to add romance to her nose-to-the-grindstone life of work and school, while fire chief Sam (Harrison) encourages Zachary to understand the importance of love, marriage and having someone special with whom to share the holidays. When Zachary’s model girlfriend Blair (Hobbs) pressures him to get rid of Ambrose and has Marilee fired from her job at a pet supply store that her father owns, Zachary sees the light, realizing he is in love with Marilee and that life is better if shared with someone special. 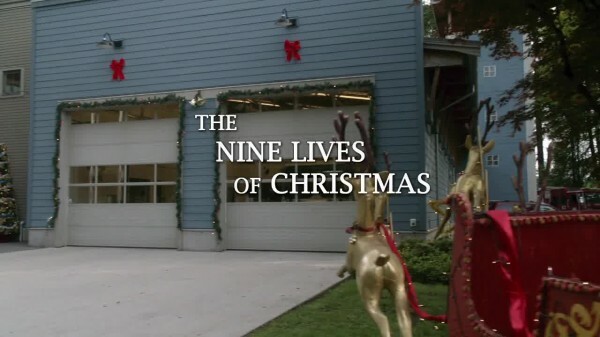 The Nine Lives of Christmas is an entry in The 12 New Movies of Christmas, part of Hallmark Channel’s Countdown to Christmas. It premieres November 8th on Hallmark Channel! Weirdly enough, this is the Hallmark Channel movie that I am the most excited about. So bring it on! Remember: Don’t set your presents on fire, kids! I have to get this cat lasagna, or Christmas is ruined!! !